Like with many Russian players, the Nikita Gusev contract situation is a difficult one. From how I understand it (and I could be wrong, but I will show my work with all CBA excerpts cited at the end of this article), the Golden Knights have two options with Gusev. But before we get to those options, let’s explain a few things first. First off, Nikita Gusev was drafted by the Tampa Bay Lighting in 2012 but never signed a contract. He was then traded to Vegas as part of the Expansion Draft. Because he never signed that first NHL contract, he remains property of the Golden Knights indefinitely. (Kelly McCrimmon recently confirmed this on the VGK Insider Show) In other words, when Gusev comes to the NHL, he’ll come as a Golden Knight, no matter when it happens. So, it’s reasonable to believe Gusev’s entry-level contract will be about $1,000,000 against the Golden Knights cap. Incredibly cheap for a player of his caliber. Which brings us back to the two options on when the Golden Knights can/will sign him. Option 2: If Gusev waits until after the Golden Knights season ends, he would have to sign the one-year entry-level contract worth a maximum of $925,000. However, when the year is up, he would be 27-years-old and thus qualify as an unrestricted free agent. 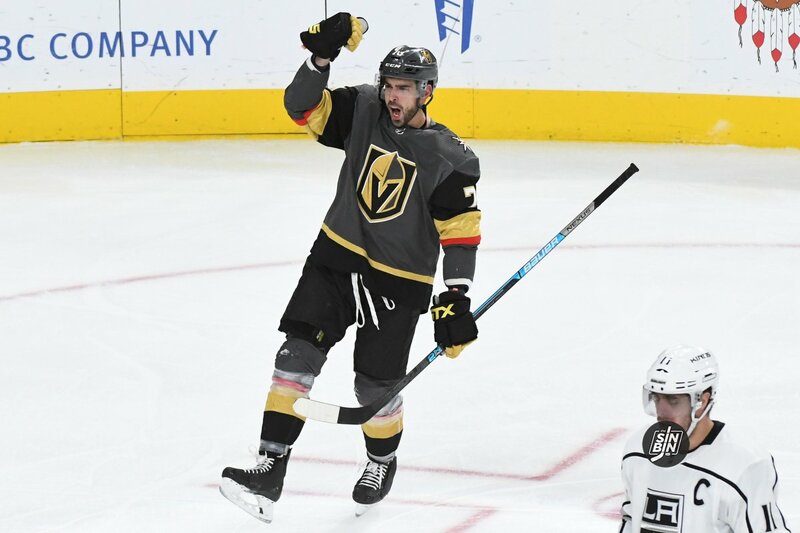 (See CBA 10.2 a) He could not sign an extension with Vegas until January 1st, 2020, and could choose to reach UFA on July 1st, 2020. 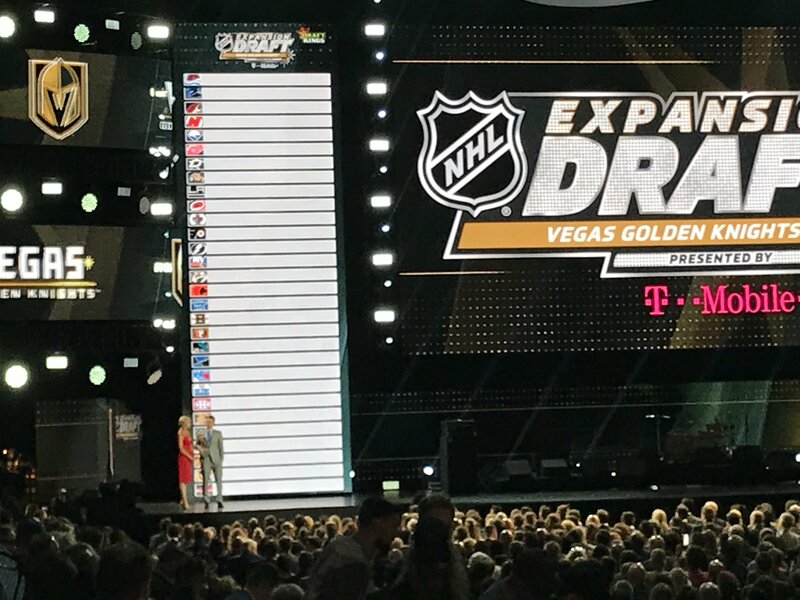 This is where it gets incredibly tricky for the Golden Knights as both options have major benefits but also massive potential drawbacks. I’ll break it down the way I was taught by my 4th grade teacher Mrs. Pope, using a pros and cons list. Every trade deadline is its own separate crazy event, but because the decision makers are indeed human, often times emotions from one can spill over into another. That certainly may be the case with the Golden Knights and Ottawa Senators following last year’s trade negotiations for Erik Karlsson. Three of the most connected insiders in the world of hockey are Bob McKenzie, Pierre LeBrun, and Darren Dreger. They all got together for an episode of McKenzie’s podcast, the BobCast. The conversation was certainly not centered on the Golden Knights, and while being used as an example, the three shared some intriguing info on just how “close” the deal was. The Golden Knights are currently in the midst of the worst slump in franchise history. They’ve lost eight of their last 11, five straight at home, and have gone from chasing down the top spot in the Pacific Division to looking over their shoulders to just stay in playoff position. It’s often said (and Max Pacioretty recently said it to us) that most teams go through tough stretches. So, I decided to go back through the past 10 Stanley Cups to see if it is indeed the case. The graph below shows the participants in the previous 10 Cup Finals with their worst losing streak, worst 10 game stretch, and where they finished in their division. 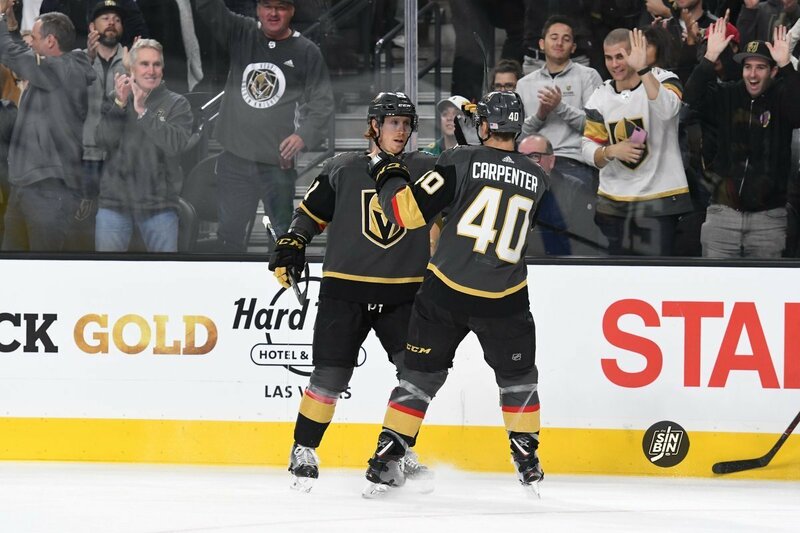 The Golden Knights of this year currently have a worst losing streak of four and their worst 10 game stretch is 3-7-0. 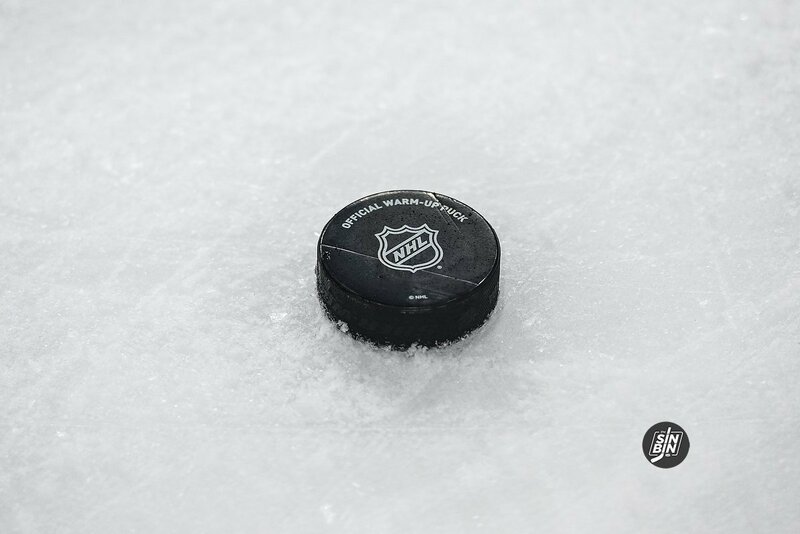 Four of the previous 10 Stanley Cup Champs have experienced five game losing streaks at some point during the season. Six of the previous 10 have had at least a four game losing streak. It’s Super Bowl Sunday. You have the day off at a five-star oceanside resort in Fort Lauderdale. It’s a beautiful 80 degrees and sunny. Plus, a bunch of your co-workers/friends are there with you. So, what do you do? Last week after the Saturday game in Florida, nearly the entire team gathered for a meal, put on the swim trunks, and hit the sandy beaches of the Atlantic Ocean. It was unscheduled, it was completely voluntary, and apparently, it was a blast. It was the only true off day during the longest remaining road trip of the season. 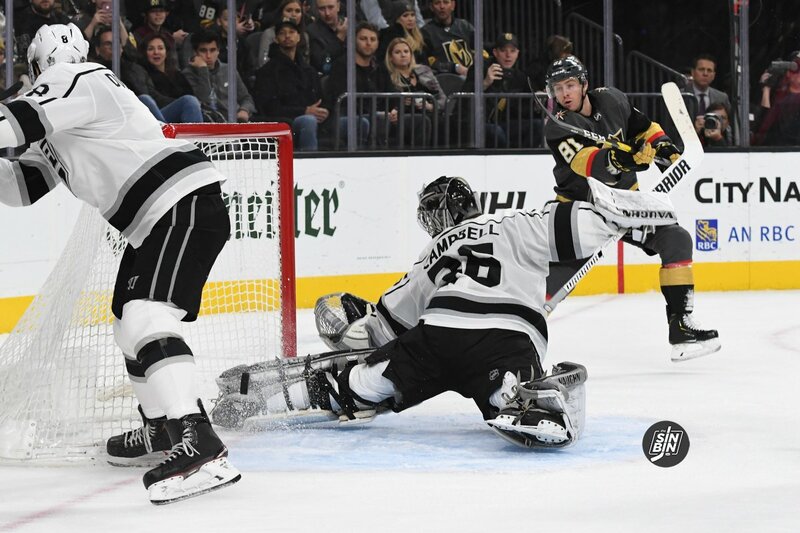 The Golden Knights had just taken frustrating losses in back-to-back nights in Carolina and Florida and were mired in the worst losing streak in franchise history. 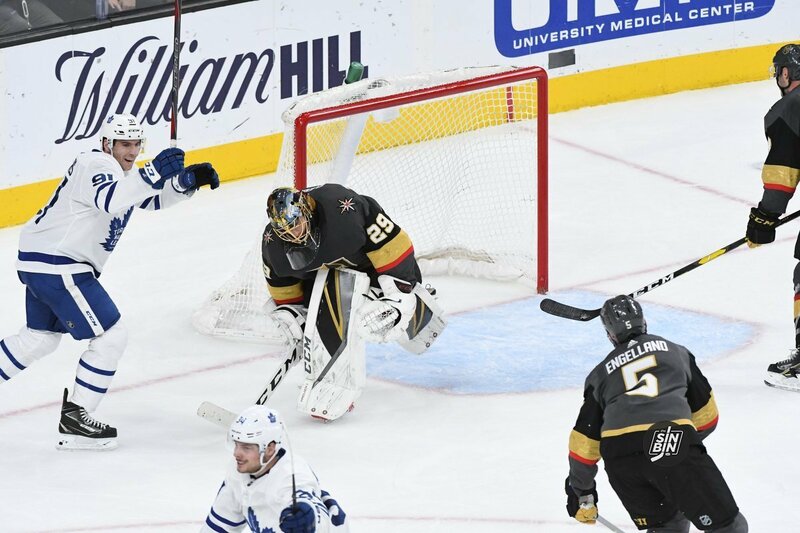 All eyes back in Vegas were on a Tuesday showdown with the best team in hockey, the Tampa Bay Lighting, but amid the panic at home, the Golden Knights had a different focus, a better one. 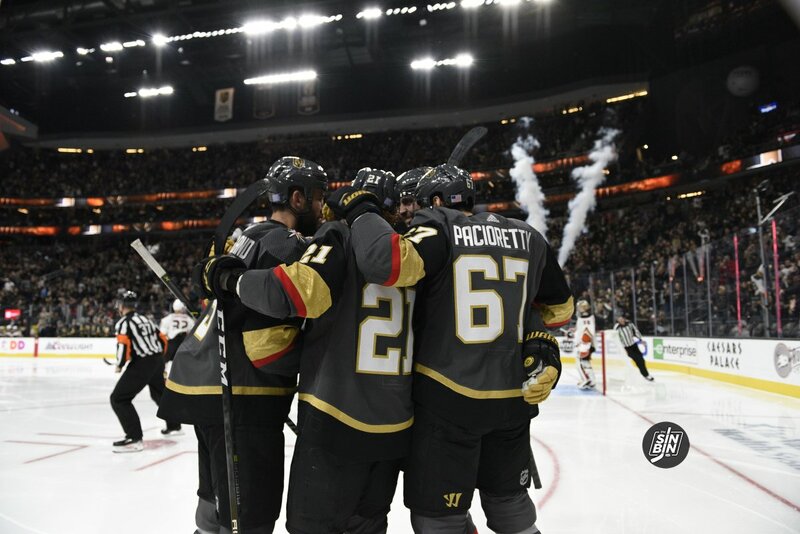 The Golden Knights top six has returned to normalcy for the first time in a long time, maybe ever, with Gerard Gallant’s decision to put Reilly Smith back on the line with Jonathan Marchessault and William Karlsson. 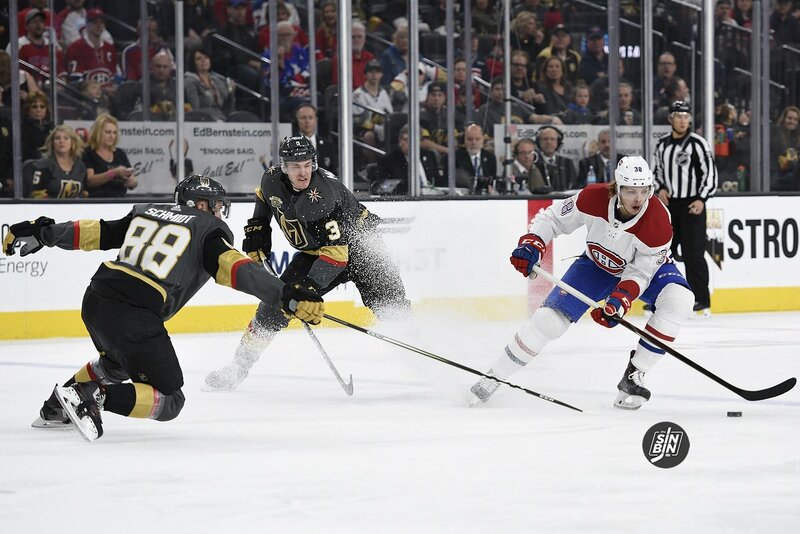 There’s no debating it, a top six of Karlsson, Marchessault, Smith, Alex Tuch, Max Pacioretty, and Paul Stastny is as good as the Golden Knights can do. And, if you compare it against other top sixes in the NHL, it’s right there with the best of them. The return of William Carrier appears to have re-stabilized the fourth line as well. 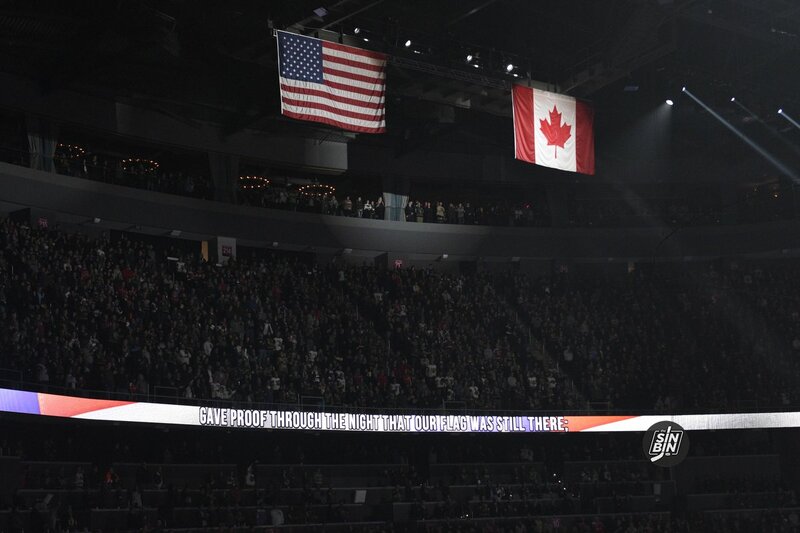 Again, one of the best in the NHL. But, this lineup leaves a void. It leaves a line with Cody Eakin as the center and a revolving door of Tomas Nosek, Valentin Zykov, Ryan Carpenter, Oscar Lindberg, and Brandon Pirri on his wings. Let’s just be frank for a second, there’s not a combination of three guys that make a legitimately dangerous line. 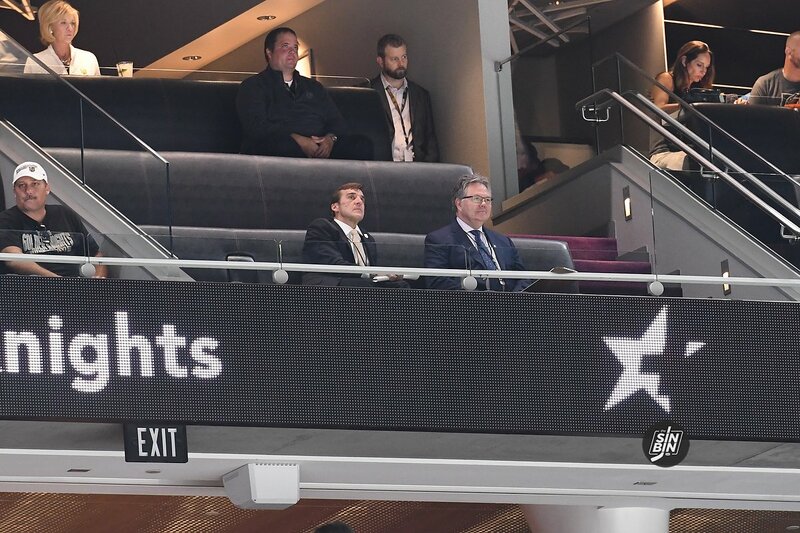 So with the trade deadline a mere 14 days away, it begs the question, how much should George McPhee be willing to give up to fix it? However, I’m here to pose a different question. Can it actually be fixed without breaking up the top six? Just play along with me for a second here. Let’s say the Golden Knights acquire the best player available, Artemi Panarin. You liking a line of Eakin, Panarin, and Zykov? Does Eakin, Panarin, and Carpenter float your boat? What about Eakin, Panarin, and Pirri, that giving you the tickle? What if they get Mark Stone? Wayne Simmonds? Matt Duchene? Jimmy Hayes? Michael Ferland? Nate Schmidt is a character. Yet even amongst all the crazy stuff he’s said or the wacky situations he’s placed in on national TV, he always finds a way to surprise us. The most recent revelation is something you would probably never expect. He says it’s a great work out and he has fun doing it. So, obviously, the next step for an athlete on a high profile team with a personality made for TV… Dancing with the Stars! Posting this article is our way of “running it past George.” Schmidt would be tremendous on the show and I can almost guarantee the producers would love to have him. So, if anyone has any connections to ABC, hit us up, we want to make this happen, it would be a great thing to distract us from how awful offseason is. Plus, Schmidt actually thinks he would fare pretty well on the show. I can already envision it. The ridiculous costumes, the terrible dancing (at least in the first few episodes), Fleury and Reaves in the crowd rooting him on. Schmidt holding up the mirror ball trophy.